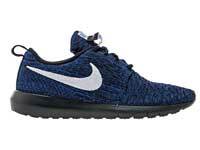 The Nike Roshe Flyknit was designed to provide a better, more durable fit than its predecessor. Its dual-density memory foam within the insole, paired with a cored outsole and Flyknit material enhances its flexibility. Nike introduced Flyknit material in February 2012 with its first sneaker the Flyknit Racer. This Flyknit technology has been migrated into the company’s training, running, soccer, basketball and lifestyle releases. As a result, the special tech helped continue Nike’s well-deserved position as one of the most innovative sportswear brands in the world. Flyknit is now one of Nike’s most profitable pieces of staple tech, which isn’t bad for a concept that was 10+ years in the making. I really like the mesh design on these. Looks like a combination of cool and comfort all in one! Are these unisex? 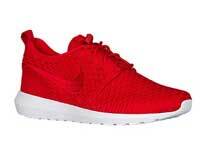 They look nice I like the red & black! 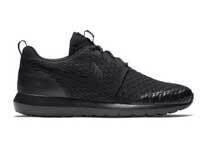 This is a great running shoe. I like the way it contours to my feet. 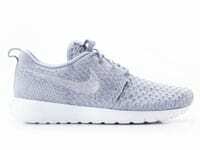 The Roshe Flyknit is off da chain baby! This is my kinda style. The design on this is well thought you. You can tell why Nike is #1 at what they do. They never sacrifice quality and I like this. Flynit material is what really sets this shoe off. Sweet!